Shutterly Fabulous only sell premier shutters for Brighton and Hove, the South East and London. Shutterly Fabulous provide our customers with a level of care, product quality and installation expertise for custom made shutters, unrivalled in the UK. 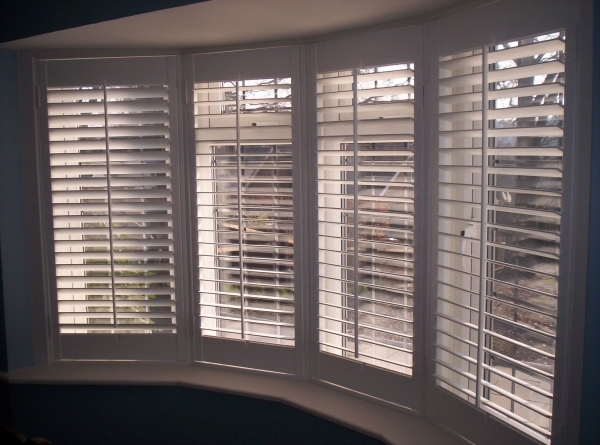 As one of the UK’s most experienced wooden plantation shutter companies we work with you to design, manufacture and install premier wooden shutters that are unrivalled in terms of quality, design and durability. Our wooden plantation shutters are unique with several design features not found on other shutters sold in the UK. The wooden shutters shown on this home in Hove, East Sussex are a perfect example of how our wooden shutters can transform your home. Matching the colour of the wooden shutters to the frame of the windows really gives a fresh look to the outside of this Hove property. Shutterly Fabulous has a team with unrivalled design flair and can offer you advice on the design of your shutters to suit your specific requirements. Our plantation shutters are available with a choice of profile sizes to suit your home. The detailing and design options available with our shutters are unique to us and not available elsewhere. This Hove based customer discussed the number of panels with our team and visited our East Sussex showroom here to discuss all their initial requirements. I’m trying to get a good window covering. It makes sense that I would want to use some nice shutters! That seems like a great way to control the light in my home.